Face plate holding arrangement suitable for mass production for high finish jobs. Max. 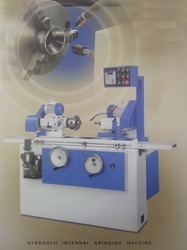 grinding diameter : 135 mm. 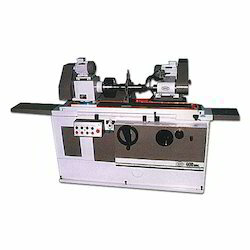 We are offering WMW Internal Grinder to our clients. We are leading supplier Internal Grinding Machine WMW Si4..
With the help of well-qualified professionals, we have stood at a top position in the industry by giving a broad array of Internal Grinder. Known widely for resistance to corrosion and long life, these machines has Auto Lubrication Unit, Coolant Pump having Tank and CNC packages with operating panels as well as graphic display. We are one-step ahead of our competitors in manufacturing and supplying a wide range of Cylindrical and Internal Grinding. These are precisely engineered in accordance with international industrial standards to ensure purpose specific construction and consistent performance. These are compact in size and widely recommended for durability, robustness and high functional efficiency.